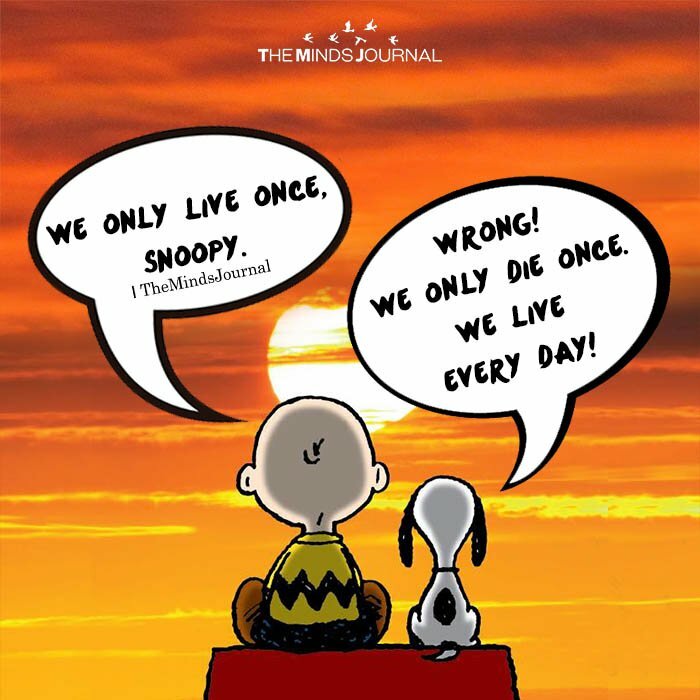 We only live once, snoopy. Wrong! We only die once. We live every day!